Erico Caddy® Floor mounted box support features steel construction and pre-galvanized finish. It allows to mounts inside or under floor track and helps to mount plaster rings for low voltage applications. This support with versatile positioning, offers quick, easy and efficient methods for construction requirements. 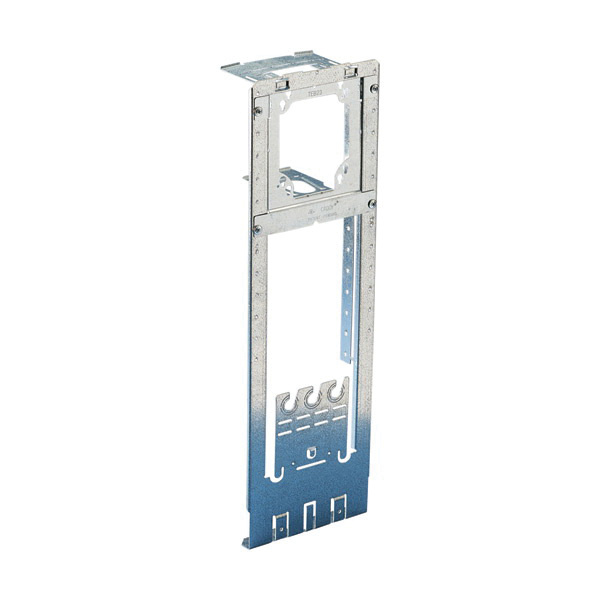 It minimizes stocking different size brackets and holds additional brackets for multiple box, device mounting. It has stud wall depth of 2-1/2-inches, 3-5/8-inches and is suitable for use with 1-1/2-Inch, 2-1/8-Inch depth and 4-Inch, 4-11/16-Inch sized boxes. Support is cULus listed and meets ADA standards.